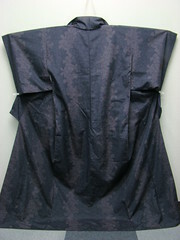 Just Another Kimono Blog: Shopping! But this is the one that I did win! Like I said, it's synthetic. There is one stain on the sleeve, and I hope that I can get it out. Thank you! As soon as they get here and I have time to do some kitsuke, I'll post it! 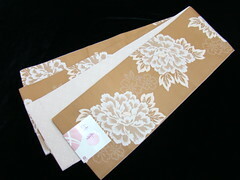 i hope that you will enjoy your new items and see them soon on your blog. 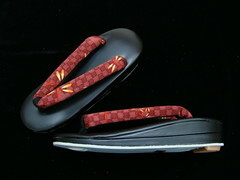 Did you find the right size geta/zori? It'll take about 2 to 3 weeks before I get them using SAL. 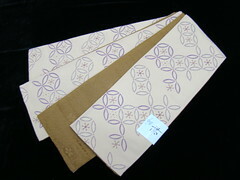 And I hope the geta/zori size is good. 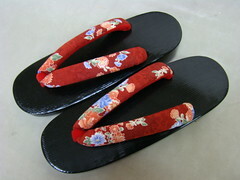 The zori I have are 25 cm, so these zori and geta are 24 cm.